Aishwarya Rai has been active in the glamour world since 2 decades. It started with her winning the Miss World title in ‘94 and then the momentum of her fame has only become more every passing day. From starring in regional language films, to being a part of block-busters, from having a flower named after herself in France, to being a regular at International Cannes Film Festival, this gorgeous lady has seen it all. She is undoubtedly one of the most popular actresses of the current times and has been a part of some really memorable films. Here we make an attempt to point out the best films she has been a part of. The film is about a man who wants to die with the permission of the court of justice, since he lives the life of a vegetable. Apart from some really impressive songs, this movie boosts of brilliant performances by Hrithik Roshan and Aishwarya Rai. Aishwarya plays an unusual role in this one and does a brilliant job at that. This is perhaps the last film of Aishwarya, after which she took an unannounced sabbatical from Bollywood to bring the gorgeous Aradhya Bachchan into this world. This is one rather unconventional film of Aishwarya, but it received a lot of critical acclaim. Based on the famous short-story “The Gift of Maggi”, Aishwarya and Ajay Devgan bring life to a slow and yet amusing story. They play lovers who are departed and later meet again, only to discover each others’ misery and then helping each other at their own costs. Plot – A lover turns into a hopeless alcoholic on losing his beloved. 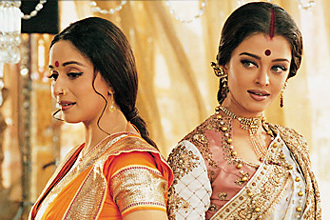 Aishwarya plays Parvati (Paro) in the grand movie based on the famous book. She looks gorgeous throughout the movie, acts like she herself is Paro and dances like a swan. The movie showcases her in her best form, and hence she wins the best actress award at Filmfare for the same. We feel this is the performance of Aish ever. Aishwarya Rai plays Jodhabai in the film based on the famous story of Mughal Emperor Akbar. The film can boost of brilliant performances by Aishwarya and Hrithik, along with excellent music and grand picturisation. May be it “Jashne-Bahara” or may it be “Khwaja Mere Khwaja”, the songs of the film are highly soulful and impressive. Aishwarya stuns the audiences with her beauty in the picture. The film is about a music teacher who changes the culture of an old school by proving the power of love over everything else. The Yash Raj films presentation has a rather short role for Aishwarya, but never the less she leaves an impression. The film has lovely music and very good performances by Amitabh Bachchan and Shah Rukh Khan. Aishwarya plays Sujata in the film and it is said that it is this picture where Aishwarya’s relationship with Abhishek Bachchan became very strong and later they eventually married each other. The film, very loosely inspired by life of Dhirubhai Ambani, has brilliant performances by the lead pair. The climax of the film is impressive and so are the dialogues. It is a matured piece of work, presented in a very commercial way. A rich boy meets a village girl and they fall in love. Situations separate them and when everyone wants them to be one, their egoes are not ready. The film boosts to be one of the best music albums of Bollywood. 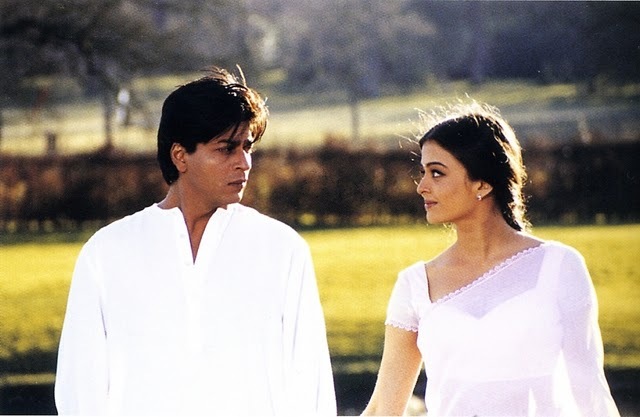 May it be “Taal se taal mila” or may it be “Nahi Saamne”, the songs of the film added soul to it. Aishwarya played the village-beauty Manasi in the film and made a wonderful pair with Akshaye Khanna. The film is the story of Nandini(Aish) who feels love for the first time in her life with Sameer (Salman), but comes to understand what it really means through her husband Vanraj(Ajay). Aishwarya won the best Actress award at the Filmfare for her performance. This film won a lot of accolade, even in distant countries like Japan and Italy. It is said to have been dubbed in many international languages. It is a brilliant representation of Indian culture. Apart from these, Aishwarya has done some brilliant work in regional (Chokher Bali) as well as international cinema (Last Legion, Pink Panther 2). We really hope she returns back to Bollywood and gives us many more movies which makes it still more challenging for us to prepare such lists!! Manasi Moghe Journey Collage by TGPC, Miss Universe India 2013…!!! Aishwarya Rai is the best of all time .shes beautiful ,and shes my best bollywood actresses.God have really bless you . love you Aishwarya and may God bless you more Amen.